Headspace Gas Chromatography supplies and instrumentation. We sell Headspace Vials, Headspace Caps, Headspace accessories, Headspace GC instruments, and a full suite of support services including GC maintenance, Headspace GC application support and operator training. It’s not often you can pay less for higher quality. ChromLab Headspace Vials are 50% thicker and as much as half the cost of name brand equivalent vials. In addition to our vials, we have a full line of Headspace Caps for Perkin Elmer, Agilent-Hewlett Packard, LEAP and Tekmar Headspace Gas Chromatographs. We don’t just sell the Headspace GC instruments and supplies. We are expert at Gas Chromatography Method Optimization. Our optimization methodology can speed up assay by up to 50%. Not sure if you are getting accurate GC results? 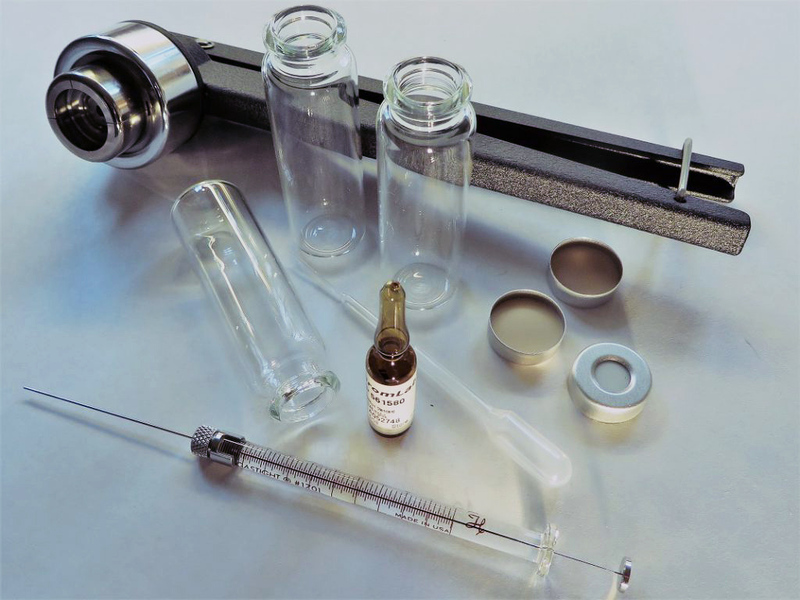 We can develop custom Headspace GC Calibration Kits so you can take the guesswork out of your Residual Solvent Analysis and Retained Solvent Analysis. Are your instruments getting old and not sure if they are up to your QA/QC standards? Have you recently hired a new GC technician and need some help training? Call us today to learn about ChromLab’s complete Headspace GC systems solutions which include installation, maintenance, training, technical support and application support. By drawing on our 50 plus years of experience in every aspect of Headspace Gas Chromatography you can optimize your GC lab operation, lower costs, and increase profitability.